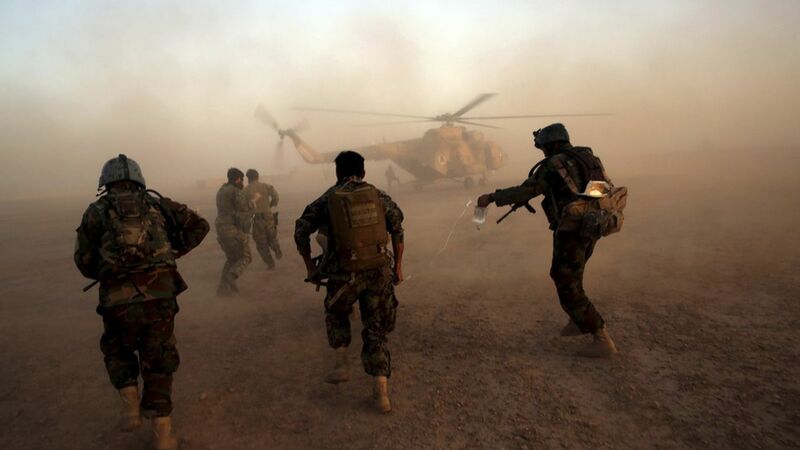 Afghan officials are speaking by telephone with Taliban military leaders nearly every day about the country's constitution and a political future, the AP's Kathy Gannon reports. Afghanistan's national security adviser talks with the Taliban every other month, per officials familiar with the efforts. Why it matters: The documents detailing the conversations, which the AP obtained, show the Taliban may be willing to sign on to Afghanistan's constitution as well as future elections. The Taliban wants amendments to the constitution and potentially an Islamic system of governance, according to a senior Afghan security official. These aren't public peace negotiations, and the Taliban is unlikely to enter talks without an American withdrawal, according to Abdul Hakim Mujahed, a member of the Afghan government's High Peace Council. Trump announced last week a withdrawal would be unacceptable. Segregating education by gender, but they would accept education for boys and girls both, a significant departure from how the Taliban ruled. A constitutional guarantee that a woman could not be president, but they would accept employing women in all fields, including the judiciary, another departure from Taliban rule. But they did not want women to serve at the Supreme Court level. An establishment of special courts to deal with cases alleging land was taken illegally by the powerful in the post-Taliban era. Elections without anyone affiliated with the past governments serving in the interim administration.